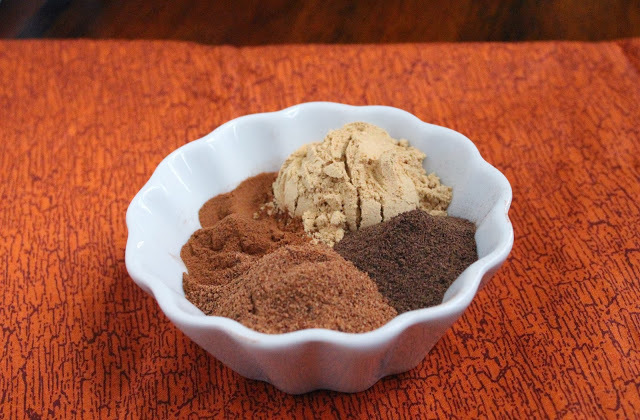 I am wishing for Fall weather here in Florida and to hopefully speed it along, I created my own Pumpkin Pie Spice. With Fall baking, that little spice container in the grocery store never seems to be enough and always runs out right when I need it. 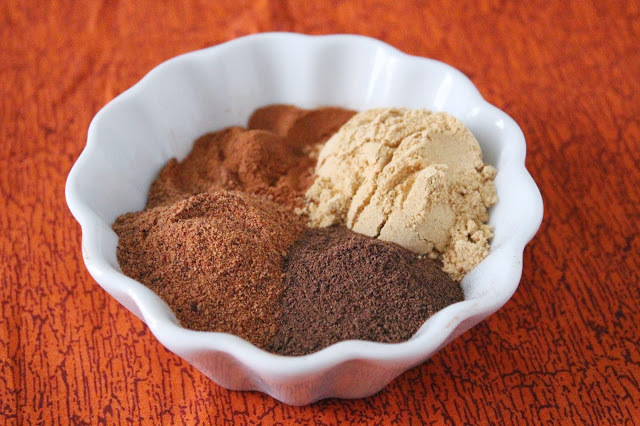 Pumpkin Pie Spice is quick and easy to make and you probably have all the spice ingredients already in your pantry or spice drawer. The internet has been blowing up with Pumpkin Spice this and Pumpkin Spice that since early September. I love all those delicious creations that I see on Pinterest and FoodGawker. Hopefully I will not be too busy with Baby prep in the next few weeks to add to all the gloriousness (yes, that’s my made-up word) of Pumpkin Spice baking. *some people like Clove in their spice mix, but I personally do not care for it, so it it up to you if you wish to add it in. – Add all spices in a jar, with a tight-fitting lid, and shake to combine. Any type of mason or canning jar would be perfect.